One of the few marques to emerge from Switzerland came about as a result of its designers passion for Ferrari sportscars. Peter Monteverdi , a Swiss Motor dealer (and Ferrari dealer) built his motorcar in 1951. By 1956 Monteverdi was established as a specialist sportscar supplier and began to dream of building a car that could combine Ferrari and Rolls-Royce design qualities (performance and luxury). 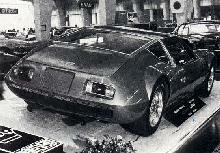 In 1967 Monteverdi launched its first serious production car, the 375S High Speed. 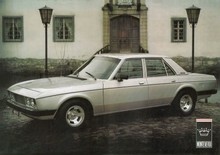 A Long wheelbase 375L appeared in 1968 and continued in production until 1977. 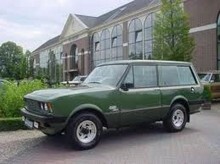 Although the 375 High Speed ceased production in 1977 Monteverdi continued to produce specialist cars until 1982.